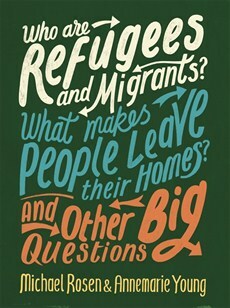 A highly topical look at the current refugee crisis, encouraging readers to think for themselves about the issues involved. What does it mean for people to have to leave their homes, and what happens when they seek entry to another country? This book explores the history of refugees and migration around the world and the effects on people of never-ending war and conflict. It compares the effects on society of diversity and interculturalism with historical attempts to create a racially 'pure' culture. 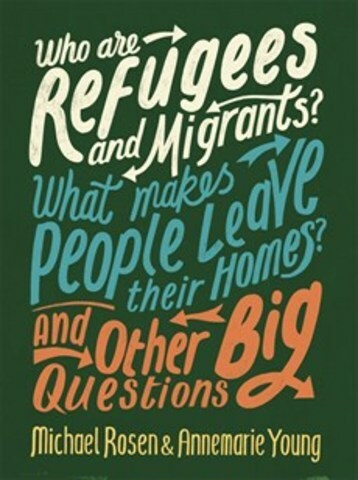 It takes an international perspective, and offers a range of views from people who have personal experience of migration, including the campaigners Meltem Avcil and Muzoon Almellehan, the comedian and actor Omid Djalili and the poet Benjamin Zephaniah. Aimed at young people aged 10 and upwards, the book encourages readers to think for themselves about the issues involved. There is also a role-play activity asking readers to imagine themselves in the situation of having to decide whether to leave their homes and seek refuge in a new country. Part of the groundbreaking and important 'And Other Big Questions' series, which offers balanced and considered views on the big issues we face in the world we live in today.